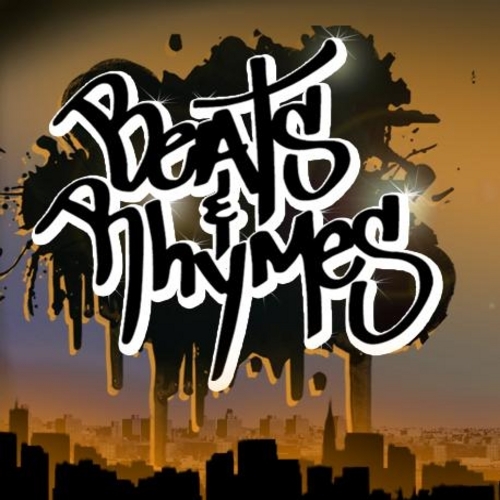 The debate of whether beats or rhymes are the most important aspect of hip hop has been going on for a very long time, at least since the ’90s. I could be wrong, but I feel like most people view hip hop of the ’90s to be equal parts rapping and production. It’s generally believed that it was during that decade that both rapping and production reached their peaks. Since then, however, hip hop has changed a whole lot. When you look at the hip hop of today and compare it to the hip hop of the past, it’s like looking at two different worlds. In this day and age, there is much more variety in the styles of hip hop. There’s ’90s throwback, early ’00s style boom bap, trap rap, cloud rap, electronic influenced hip hop (and hip hop influenced electronic), jazz rap, many different facets of pop rap, soulful hip hop (reminiscent of 9th Wonder’s earlier work), and even folk rap (The Uncluded’s (Aesop Rock and Kimya Dawson) album Hokey Fright from earlier this year). The styles of production are endless. In many cases, the level of lyricism in current hip hop can be traced back to the production that it corresponds with. For example, cloud rap, which was popularized by Lil B, is often associated with very simplistic lyrics. Of course, there are exceptions, such as Sadistik, but for the most part, the rappers who select cloud rap beats have simple flows and simple lyrics. That doesn’t mean that they’re bad rappers or that they aren’t enjoyable to listen to; it just means that they’re filling their particular niche in hip hop. On the other end of the spectrum, a majority of the rappers who utilize throwback boom bap beats are battle rappers. Also, most of the MCs who rap over soulful beats seem to either rap about conscious issues or personal issues. None of these observations are set in stone; there are clearly exceptions for every trend that’s been mentioned. However, the point is that there is currently a wide variety of styles of hip hop in regards to rapping and production. This variety blurs the line between beats and rhymes. So, which one is more important? First, we have to dig into hip hop’s origins and how hip hop has progressed over the years. When hip hop started in the late ’70s, it was merely dance music. The lyrics just had to be carefree and they had to be displayed in a rhythmic, catchy way. The reason that most people listened to hip hop back then was to groove to a funky beat. At its very roots, hip hop was more focused on beats than rhymes. However, if you fast forward a couple years to when Grandmaster Flash and the Furious Five released the song “The Message,” the first conscious hip hop song of all time, the tables began to turn. That song proved to the world that hip hop could be about more than just partying. After the release of that song, hip hop been to rapidly progress to a lyrically oriented state. By the time that Eric B. & Rakim released Paid in Full in ’87, the tables had flipped entirely. At that point and for the next couple years, the main focus of hip hop was rapping. Rakim had opened up a door and rappers from all around were trying to push their way through it. Fast forward now to the ’90s. The ’90s are typically the favorite decade of most hip hop heads. The reason for that is because of the production. I’m not claiming just yet that beats are more important than rhymes; I’m just making an observation based on my experience with the genre. For the most part, the rapping of the late ’80s transferred over into the ’90s. The excellent lyricism that Rakim inspired was carried over by countless rappers. You could even argue that a lot of ’90s rappers were better than late ’80s rappers because they put more effort into their styles, flows, etc. If I were to compare the general rapping of the ’80s and the general rapping of the ’90s, I would say that they’re about even. That’s why I claimed that production was the key factor in elevating ’90s hip hop above ’80s hip hop. Simply put, beats were better in the ’90s than they were in the ’80s, or in any other decade for that matter. Boom bap reached its peak, g-funk reached its peak, southern production reached its peak, jazz rap reached its peak, etc. The beats on all of the ’90s classics were insanely great, and as far as most hip hop fans are concerned, that’s a fact. Production was at its best and rapping was at its best. That’s why the ’90s seem to be the most difficult decade to discuss when debating the topic at hand. Both aspects were so important at the time, that it’s hard to gauge each one’s individual importance. If you put a gun up to my head, though, I would probably say that the beats were more important at the time. My reasoning for that decision is that when you think back to the hip hop of that era, what comes to mind? What defines ’90s hip hop? To me, the clear answer is the production. When I think of the west coast, I think of g-funk, Dr. Dre, Snoop Dogg, etc. When I think of the east coast, I think of boom bap, Wu-Tang Clan, Nas, Biggie, Boot Camp Clik, etc. When I think of the south, I think of that classic funky southern production, UGK, Eightball & MJG, OutKast, etc. Of course, I also think of the different styles of rapping, but I think that the most consistent and most era-defining aspect of ’90s hip hop was its beats. It should be mentioned that pretty much this entire section about ’90s hip hop has been mainly referring to hip hop from ’90 to ’96. That’s because, in ’97, hip hop went through a major change. It was the beginning of what many refer to as the “shiny suit era” or the “jiggy” era. In my opinion, it was at that point that the line between the importance of beats and the importance of rapping began to blur. Hip hop began to go in all types of directions. Any focus that hip hop had previously maintained, whether in the mainstream or in the underground, was seemingly lost. This lack of focus is one of the main reasons that people claim that hip hop is dead (which is an entirely false statement). Anyway, from that point on, hip hop began to go in all sorts of crazy directions. Hip hop went through countless phases and here we are today: in a perpetual state of countless phases, a melting pot of sounds, if you will. Now that I’ve very vaguely gone over the basic evolution of hip hop, it’s time to take a look at both sides of the argument. One side of the argument is that rapping is the most important aspect of hip hop. There’s a lot of logic behind this argument. For one, when hip hop hit its golden age, rapping was its main focus. The argument there is that the hip hop that we’ve all grown to know and love was originally based on the principle of rapping taking precedent over production and that it should stay that way. Think of rappers like KRS-One and Rakim, for example. They rapped over beats that were specifically meant to highlight their rapping abilities and many think that’s exactly what the function of hip hop production is supposed to be. Another argument for this side is that hip hop should be focused on rapping because that’s its niche in the music world. Take artists like Gil Scott-Heron and Bob Dylan, for example. They focused very heavily on their lyrics and that’s the main reason that they’re famous. It is believed by some that hip hop should be the culmination of that lyrically geared mindset, as it was originally created to be. It was originally the one genre in which lyrics were always valued above instrumentation or production. It could be argued that if hip hop strays away from that mindset, there will be no one genre to fill that niche, which would be a problem for millions of music fans. Another argument is that rapping is what keeps hip hop interesting. If rappers aren’t focusing on writing strong lyrics, they won’t be interesting to listen to and they won’t be able to make connections with their audiences. At a certain point, they’ll become virtually disposable and hip hop will be reduced to nothing more than a subset of pop music. All of these arguments hold a lot of validity, so it’s clear to see why a lot of hip hop fans believe rapping to be the most important aspect of hip hop. The other side of the argument, of course, is that production is the most important aspect of hip hop. This side of the argument doesn’t involve much logic. It’s simply that many people believe that hip hop production has many forms that sound great and that they listen to hip hop for that reason. These people are the type to claim that good production with bad rapping equates to being better than bad production with good rapping every time. It’s hard to argue with this side, really. It’s an entirely subjective matter, so it’s sort of a waste of breath to dispute it. If someone likes Lil B because they love cloud rap, what’s the point of arguing with them? They have the right to like whatever they want to like. I mean, the vast majority of all music is judged by production or instrumentation, rather than lyrics, so it’s not wrong to judge hip hop based on production as well. This mindset is especially prevalent with those who dwell outside of the hip hop community, for example, people who mostly listen to rock and only occasionally listen to hip hop. Those people have been judging the music that they typically listen to based on production for their whole lives, so it’s only logical for them to do the same for hip hop. These are the same people who claimed My Beautiful Dark Twisted Fantasy by Kanye West to be the greatest hip hop album ever, despite Kanye not being the best lyricist. The production on that album is absolutely incredible and that’s what it typically gets judged for. Even members of the hip hop community are increasingly starting to judge hip hop in this way. The logic to their argument is that rapping reached is peak a long time ago and that there’s really nowhere for it to go from here, whereas for hip hop production, the possibilities for growth and evolution are endless. This statement is undoubtedly true; whether or not room for growth should be taken into account when determining which is the more important aspect of hip hop is uncertain, however. As with most points in both of these arguments, it all depends on how you look at it. The bottom line for this side of the argument, though, is that a lot of people place more value in beats than in rhymes because they listen to hip hop in the same way that they would listen to other genres. It’s hard to argue with that logic. Both sides of the argument have very strong points, which is why I’ve always had a hard time coming to a definitive conclusion myself. I’ll admit that even while writing the entirety of this article, I had not made up mind yet. However, as I’m reading through my analysis, I’ve finally reached a conclusion. My answer as to whether beats are the most important aspect of hip hop or rapping is the most important aspect of hip hop is simple. There is no answer. What I mean by that is that neither beats nor rhymes are more important than each other and they never have been. In this day and age, I would say that the main focus of hip hop seems to be production. However, that’s merely a trend; it is in no way an indication that beats are more important than rapping. The key to hip hop is balance. A healthy balance between beats and rhymes is more important than anything else. It’s a case of the sum being more important than its parts. When people paint the issue to be so black and white, it doesn’t make any sense to me. Hip hop is all about balance. My Beautiful Dark Twisted Fantasy is one of the best hip hop albums of all time and you want to know why? It’s because it’s well balanced. Kanye’s rapping, despite often coming off as corny, sounds good on those beats and those beats are so great that they offset any flaws in his rapping. His rapping could have been much, much better, but the balance on that album is so well maintained that I wouldn’t change a thing about it. Think about the ’90s classics, such as Illmatic. They aren’t classics because they have great beats or because they have great rapping. They’re classics because they have great beats AND great rapping. Once again, it’s all about balance. Another thing that many people seem to neglect is that hip hop isn’t always about just beats and rhymes. There are many other factors that contribute to the greatness of a particular hip hop album. For example, an album should be cohesive. If it’s all over the place and it tries to dive into many completely different sounds, it’ll sound like a mess. Another example is that an album shouldn’t be too long. You could be the best rapper in the world and you could have the best producer in the world, but if you make an album that’s two hours long, it won’t be a great album as a whole. Also, tracks shouldn’t be too long. You can pair an amazing rapper with an amazing beat, but if he spits eight verses for the song and it’s eight minutes long, it’ll be too monotonous to be a great song. What’s important to hip hop is the balance of all of these things, not just the balance between beats and rhymes. It’s important to remember that when assessing hip hop albums, or albums of any genre for that matter. You need to take all of the aspects of an album into account, but the most important thing for you to do is to assess the whole product. Is it wrong for you to decide whether you prefer production or rapping? No. It isn’t as long as you keep in mind that balance is more important than either. Of course, this entire article has been composed of my personal opinions. If you have different opinions, feel free to share them with me in the comment section. I find this topic to be a very interesting one, so I would love to read your thoughts on it.